Compact and portable. Designed and tested by Robert Goodden. The Moonlander has been re-designed with spring-loaded supports and integral legs. 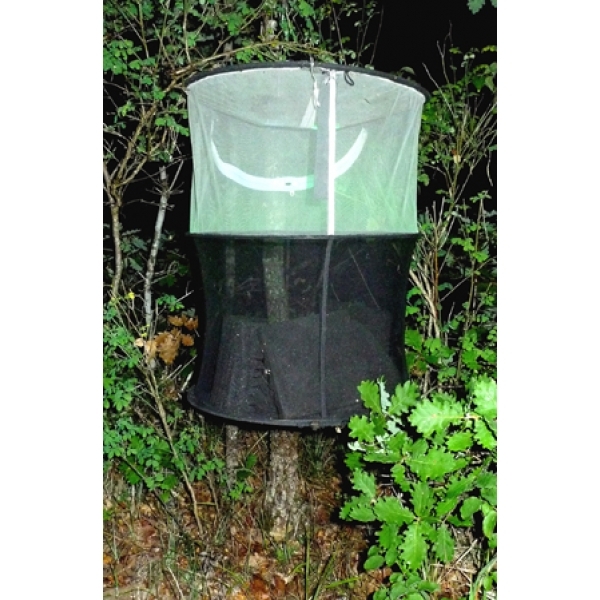 It has a convenient new carry bag that accommodates trap, cone, moth shelters, supports with legs, and the new compact Goodden GemLight. 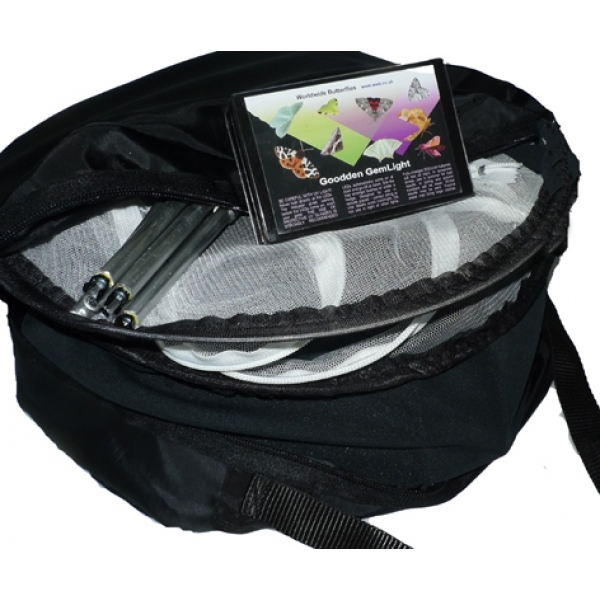 This is not just a bag: it enables you to pack away the trap with the contents all arranged inside, ready for immediate use next time. Yet the bag is only 50mm or 2.5" deep. The new Moonlander packs into a small postal container. The Moonlander, with all equipment including the GemLight can be sent together by International Letter Post. No other trap and light is compact and light enough to do this. Mail a trap to contacts abroad to use it remotely for you! Sufficient room for large catches, anywhere in the world. Folds absolutely flat. Carry in hand luggage, on a bike or hike. Neat carrying case: carry several in the field in one hand. Set up in seconds. 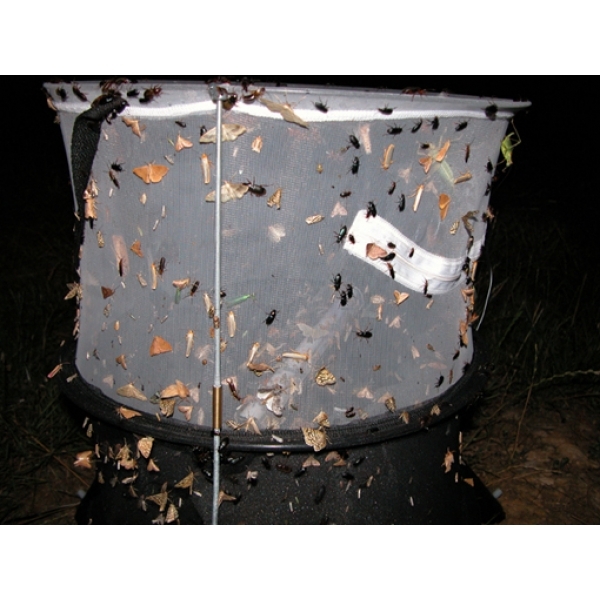 See your catch as the moths fly in – this trap combines the advantages of both sheet for observation and trap to retain the moths which enter from the base not the top. Other traps lose their catch through the top opening in the morning – the Moonlander is closed at the top and holds its catch. Ideal for sampling in remote areas on nothing more than tiny torch batteries. 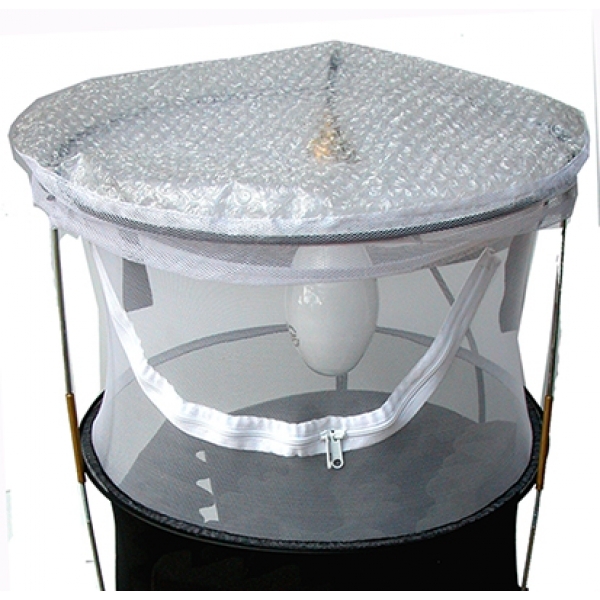 A cone of reticulated foam in the base, and a set of foam moth shelters are included. 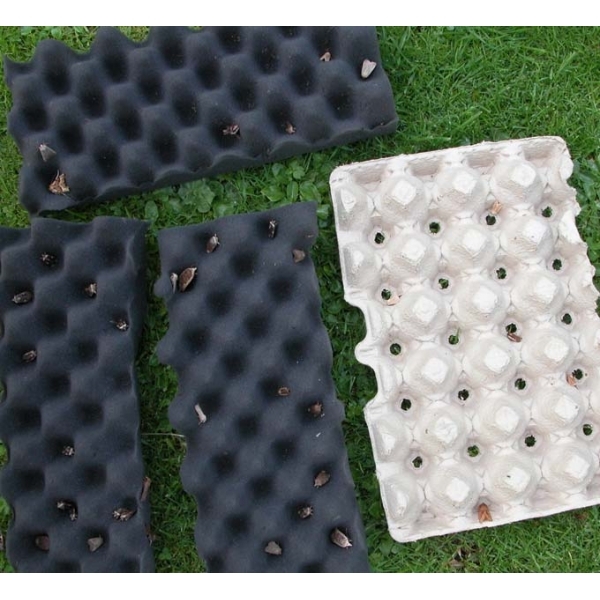 These are a modern improvement on egg boxes. 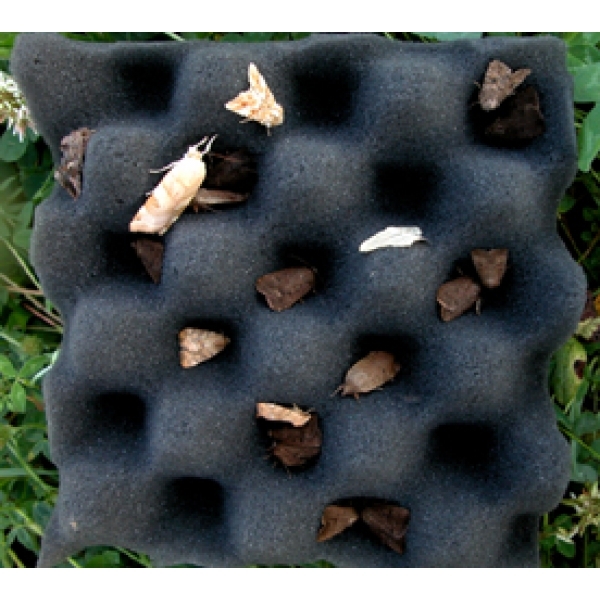 Given a choice, more moths are found in the foam than in egg boxes. Click photo to enlarge and see the moths' preference! If wet the foam is simply shaken and quickly dries in the air. Foam can be rolled compactly and springs back into shape when required for use. 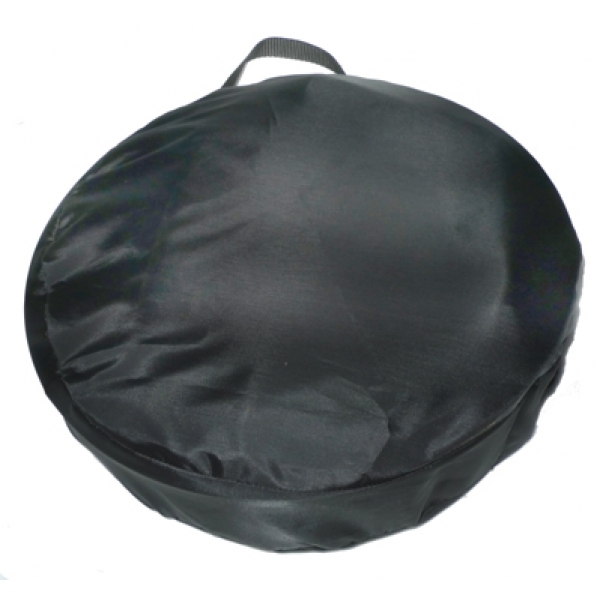 Dimensions: 38cm diameter, 45cm tall (+ height of legs). The Moonlander with Goodden GemLight, Cone and Moth Shelters, all arranged in the carrying bag, for instant use, weighs less than a Kilo, and the bag is only approximately 50mm 4" deep. Click main photo to see lots more. Hover over a picture and an arrow comes up left or right so you can view all the pictures in rotation. 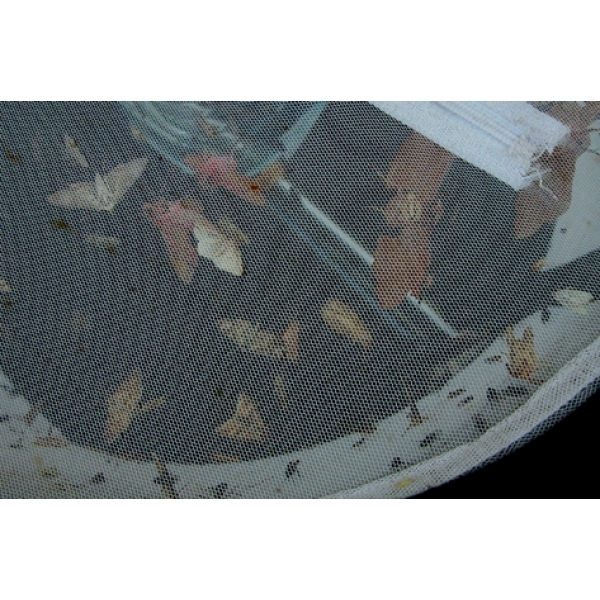 See moths in good numbers attracted to the Moonlander, and working in remote sites. 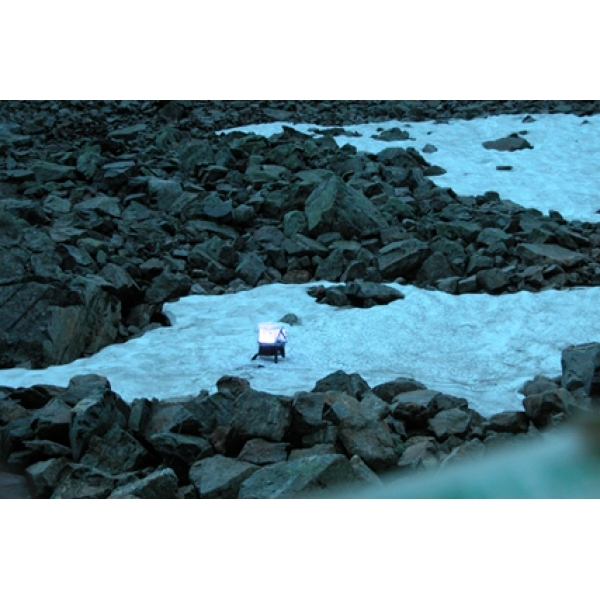 The Moonlander attracts moths even above the snow line. Conventional sceptics sometimes express doubt that moths fly upwards into the trap, and believe that moths only rest on the outside. Indeed the Moonlander is designed to view your catch as it comes in, as if using a white sheet, but they also pile in through the base entrance, as the photographs on this site testify. The Moonlander is an unconventional and innovative trap, designed for convenience and excellent results on field studies. See the advanced new Goodden GemLight which has been designed specially to suit the Moonlander - the most compact light that requires no brick for a battery, just 8 AA torch batteries! Hanging Moonlander There can be advantages in suspending the Moonlander from a branch. 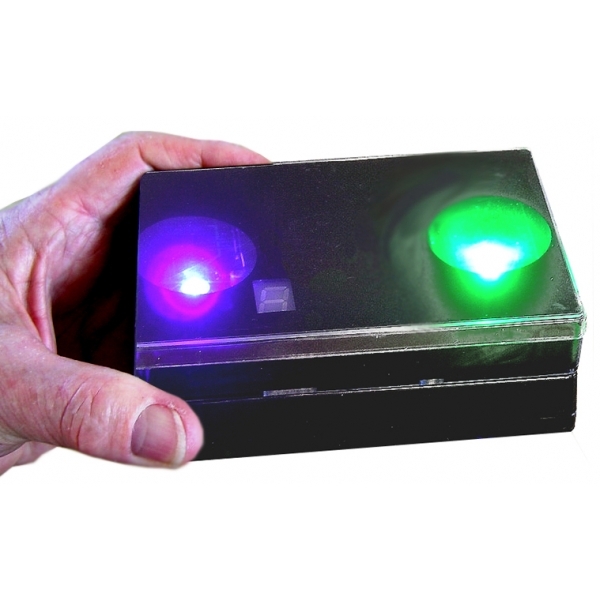 With the new Goodden GemLight, the whole trap with light and contained batteries, is a fraction of the weight of other traps and batteries. 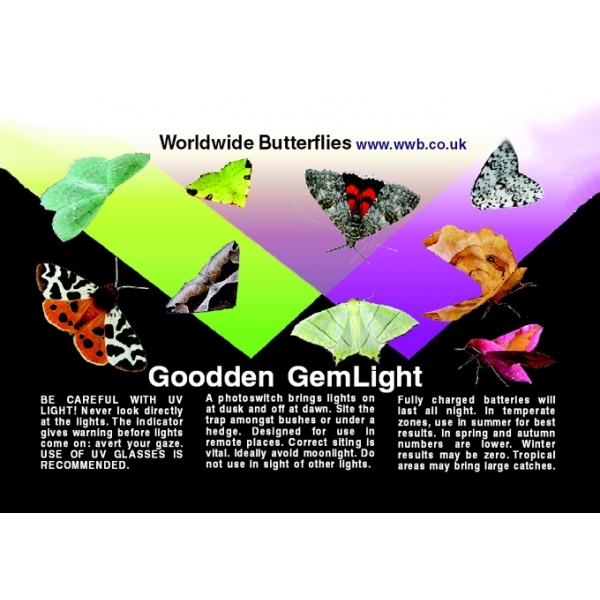 See separate description of the Goodden GemLight. The Moonlander can be suspended at different heights, even hoisted up trees, which may sometimes result in attracting different species. A suspended trap is very quick to assemble and pack away. 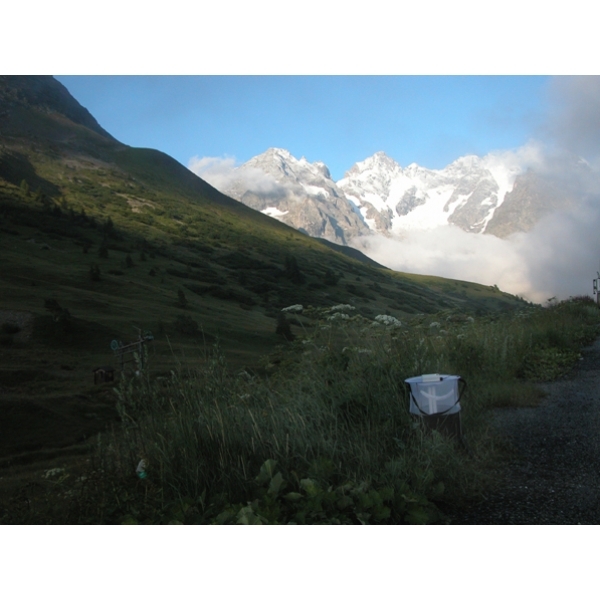 It overcomes difficult or sloping terrain, and resists bad weather. 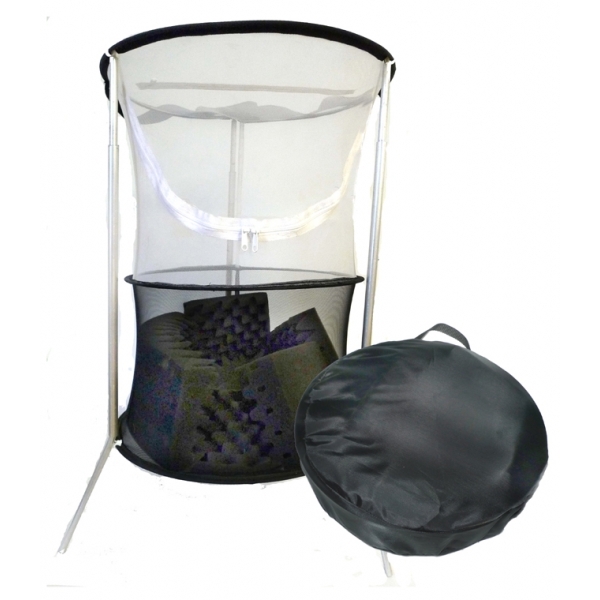 The Moonlander can even be adapted for use by day as a BUTTERFLY TRAP! Just add a suspended bait platform below the base opening and it will catch Charaxes and other Nymphalid butterflies in countries where they occur. When you want the trap to be free standing you can use the new spring-loaded compact supports with integrated legs. Completely re-designed supports and legs are now available for the Moonlander for use where a free-standing trap is required. The new supports are spring loaded so they automatically adjust height when damp conditions necessitate longer supports. Equally, if warm and dry, the supports may need shortening (by moving a screw to a new position) rather then create excess tension which could damage the netting. Check this before fitting the supports. These supports are a great improvement on the originals. They are very slender and pack away in little space. Designed for total convenience both in transit and in the field. 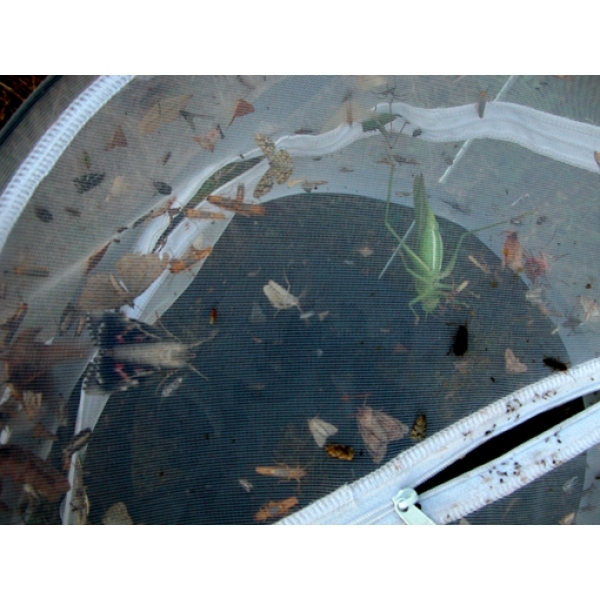 Multiple traps are easily transported and quickly set up in remote places. Re-charging can be done quickly from a vehicle and you can even re-charge using solar energy. Any light can be used. The trap is sold with the battery powered Goodden GemLight. It can also be used with any other light. We no longer offer actinic lights because test results are well below those with the Goodden GemLight, and their batteries are heavy. 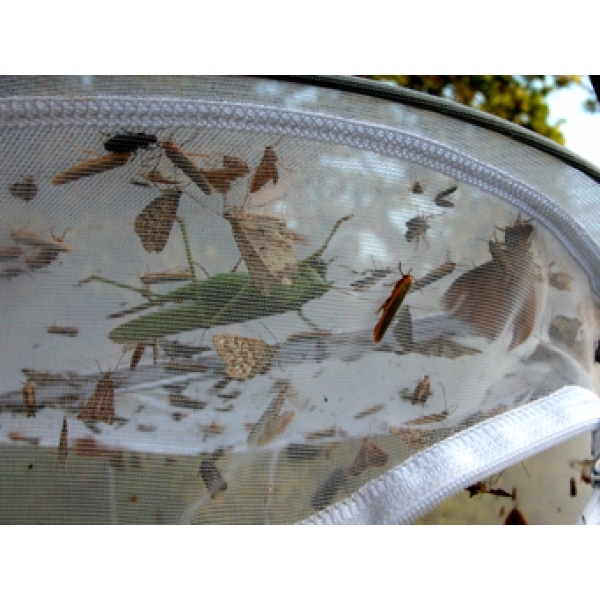 Everything about both trap and light is TOTALLY INNOVATIVE and new to Entomology. 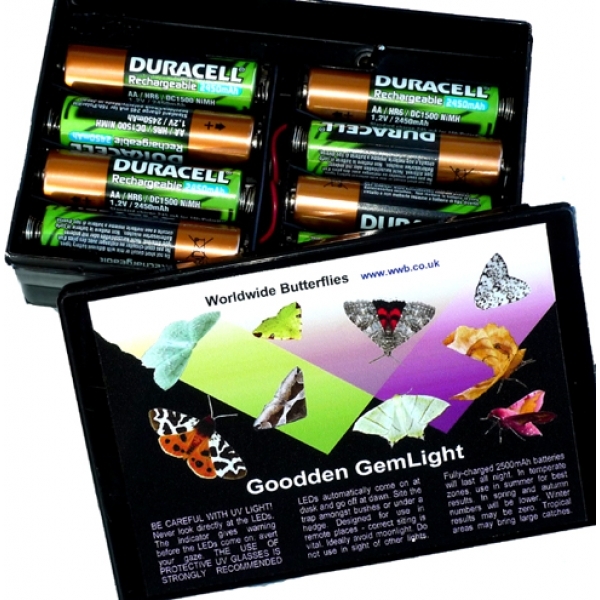 Batteries and charger are not included - they are a personal choice and readily found on the internet or locally. 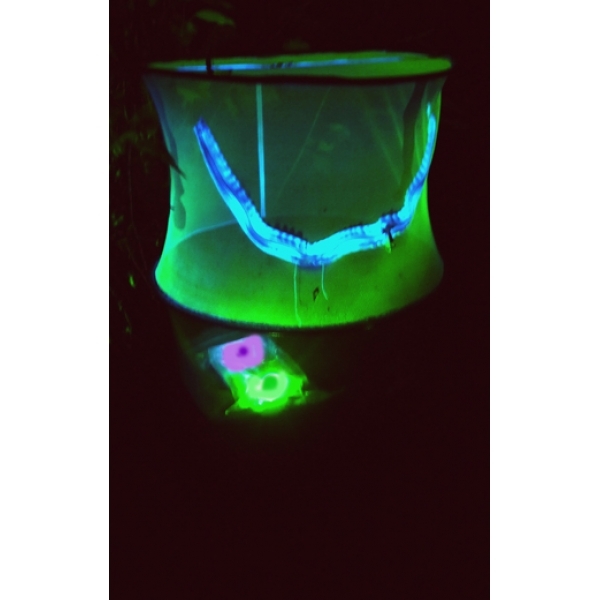 PATENT PENDING for both the new GOODDEN GemLight and the MOONLANDER MOTH TRAP.